Are you making coffe on autopilot? Let’s face it. 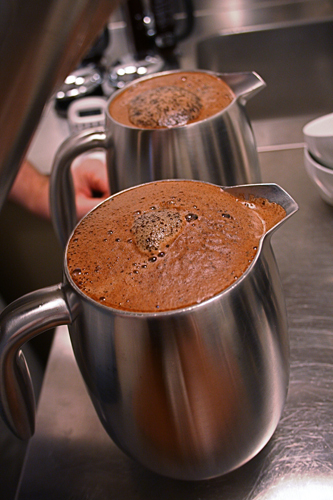 There is no shortage on opinions on the internet about how to make the best coffee. And quite a few has, in their own mind, come up with the perfect routine. In this post I’m not after finding my own perfect way, nor am I particularly experimental, but what sparked me to write this was a first hand experience on how a seemingly perfect routine can be deceiving. As the parameters surrounding the brewing process changes, such as new coffees, different roasts and so on, this will affect the brewing. We realized that we hadn’t checked for a while about what brew time and grinder setting was optimal for the current freshness of our coffee when making french press coffee. We’ve also been switching back and forth between two different grinders (same make but different models) but keeping the same grinder setting. We then decided that we had to check if what we were doing were correct. 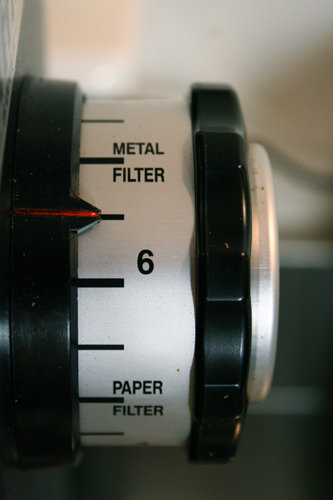 To make a long story short: We kept the grinder setting, but varied the brew time. We brewed several french presses at once, but let them brew for different lengths (4, 4.5, 5 and 5.5 minutes) and cupped the coffees blind. 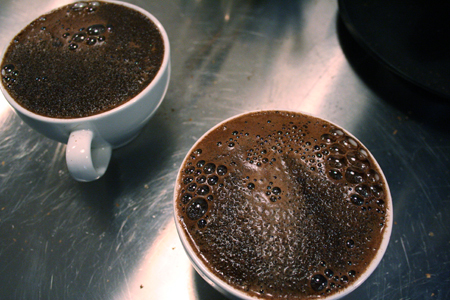 We used a Kenyan coffee (Eeagads Estate) with a very distinct blackcurrant flavour. We ended up deciding to let the coffee brew for 5 minutes as opposed to the 4 minute brew we have been using up until now. Originally we had decided that 4 minutes of brewtime were perfect for this coffee, but since then some parameters have changed without us adjusting our routine accordingly. This discovery led me to think of how many other coffee bars and roasters must be doing the same thing without realizing that things maybe should change. Have you tested your own routine recently? Be it roasting a certain coffee to a certain colorette or agtron degree or brewing an espresso on one temperature setting with the coffee coming in almost certainly being roasted to slightly different degrees. Personally I feel comfortable that we check our own routine and coffees regularly but this was still an eye opener. We roast our own coffee and know when we need to adjust the brew temeperature slightly to accommodate slight variations in the roast degree. But what about coffee bars that don’t roast their own coffee. Do they test to see if their new batch of coffee needs an adjustment of their routines? Is it perhaps time to see if you’re making the most out of your coffee or if you’re just making coffee on autopilot? Cross contamination! Is your cupping routine up to scratch? After our previous experiment with unripes we got a comment suggesting that the lack of a clear result might be due to cross contamination of the coffees. 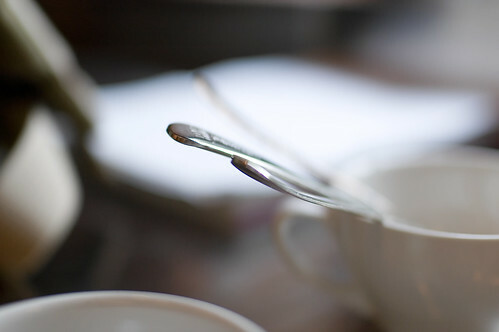 Even though we feel we have a good cupping routine, cleaning the spoons between each cup and so forth, we thought it might be interesting to check for ourselves what the effect of a really bad cross contamination would be and if our current cupping procedure is up to scratch. For those of you who don’t know what a cross contamination is I’ll try to explain: Imagine that on a cupping table you have several cups of coffee and one of these contains a stinker bean or another defect which is really apparent. 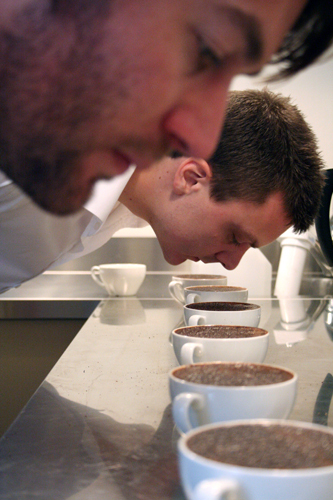 During the cupping process some bozo isn’t cleaning his spoon between each cup, or that during the breaking of the cups that same clown is just going from cup to cup breaking the crust without rinsing the spoon in between. 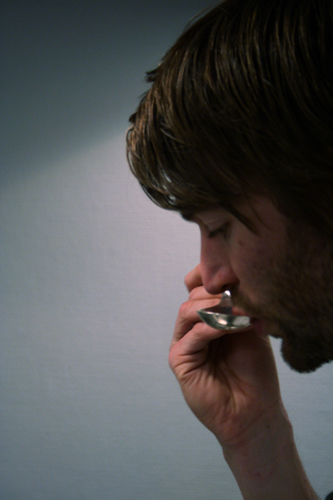 This can lead to the taste of that defect being brought to the other cups and consequently affecting their taste. There are several other scenarios where you might get cross contamination, but this was just an example. We found the worst defect we could come across, which in this case was a really past-crop Harrar from Ethiopia we’ve been using to roast. We picked the worst looking beans of them all and put them in a cup. We then picked two coffees we know are nice and clean. 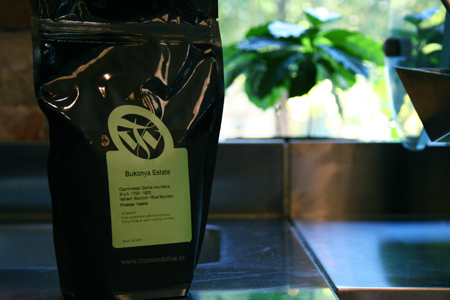 A Kenyan coffee from Eeagads Estate and a Rwandan coffee from Bukonya Estate. We set up three groups of the two coffees. One to be thoroughly cross contaminated with the defect cup, one being treated to our normal cupping routine and one not being cupped with the defect cup at all. The three groups were cupped with different spoons cleaned in seperate cups to make absolutely sure there were no cross contamination between the groups. 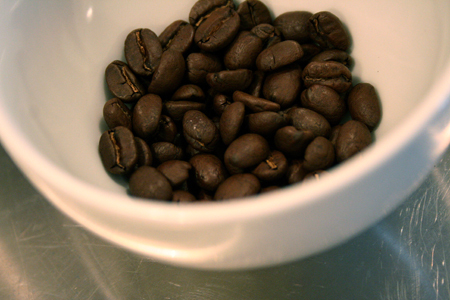 The defect beans were ground last to make sure that no cross contamination occured in the grinding process. The overall conclusion was that even though we over contaminated the first group, the defect wasn’t as apparent as one might expect. The second and third group (the control group) dispalyed no apparent differences thus proving that our normal cupping procedure is thorough enough and doesn’t produce cross contamination. What we found interesting though was the low degree of defect taste in our overly cross contaminated group. The cup with defected beans tasted really horrid of ferment and unripe beans, but very little of this taste made it over to the cross contaminated cup. We found this strenghtening the concusion of our last experiment that the actual type of defect (say a stinker) has a lot more to say with whether or not it stands out (and cross contaminates) than it just being a nasty tasting bean. 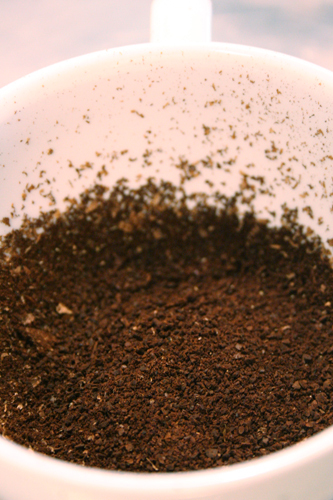 We also feel it strengthens the theory that cross contamination between two “fresh” coffees will be hard to taste. 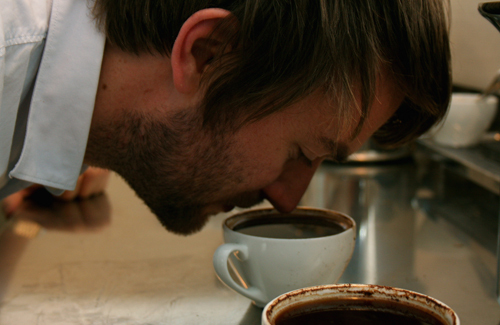 All this being said, we feel strongly that for hygenic reasons it’s important to have a quite strict regime, and it also helps ruling out all eventualities when production cupping. 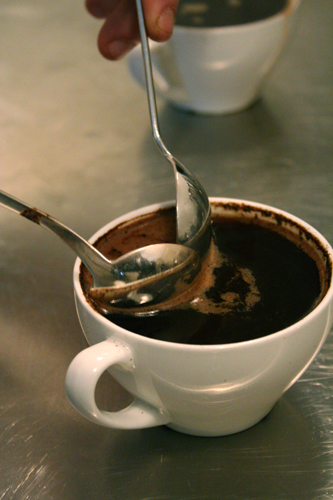 How many defected beans in a cup before you taste it? At the roastery we have a great dry processed coffee from Santa Alina in Brazil. The only drawback is that it comes with it’s fair share of unripes. 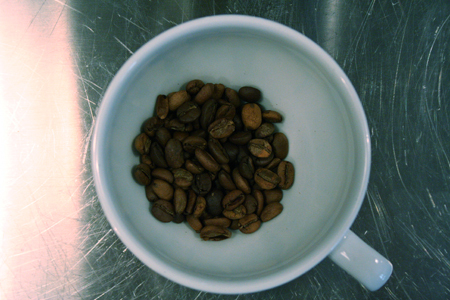 So each time we roast this bean we spend some time picking unripes and defects from the cooling tray. As you probably know they stand out by being of a lighter colour than the rest. As we are a small specialty roaster we can take the time to pick out these and just to keep reminding ourselves of the importance of removing them we keep them and once in a while cup them. But we have asked ourselves the question: How many defects can you have in a cup before it ruins it? Today was the day to put this to the test. We picked a clean coffee (La Montanita CoE, El Salvador) as a control and a base to add the defect beans into. 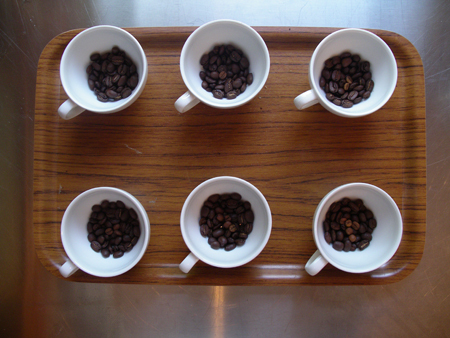 We set up the cupping table with six cups. One was a clean cup of La Montanita, the next we added one defected bean into, then two into the next and so on until the last cup which had five. 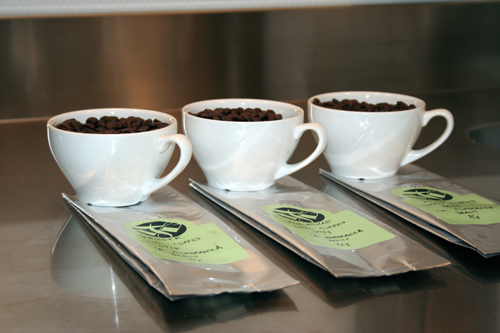 For our cupping cups we measure 12 grams of coffee to be within the ratio of 55 grams to 1 litre of water. Each defect bean weighed around .2 grams. This means that the ratio of bad beans to good ranged from roughly 60:1 to 12:1 in favor of the good beans. Todays panel of cuppers consisted of the usual supects: Tim Varney, Tim Wendelboe and myself. We blindcupped the six cups and none of us got them all right. In fact Tim V and Tim W only got the cup with the most defects and the control cup right. Myself I got none spot on, but were able to distinguish them roughly. The challenge seemed to get the better of us. For instance we all thought cup number one had a definite taste of defected bean in it but it proved to contain only one. This is the cup with 5 defect beans. The horror! Tim W was suprised over how difficult it was to pinpoint them excactly, and I could not come over the shock of not getting even one cup right. In conclusion we agreed on that the actual taste of defect in the cup would probably have more to do with the type of defect than the amount of defected beans in the cup. So today it’s been 4 weeks since we started the experiment and it was time for the last cupping. 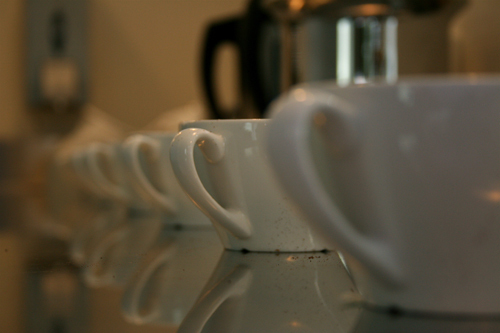 We’ve changed our cupping schedule from 14.00-15.00 (2 pm to 3 pm) to 16.00-17.00 (4pm to 5pm). This meant that we weren’t in the middle of the late lunch-rush when the cupping began. This in turn made it easier to focus while cupping. 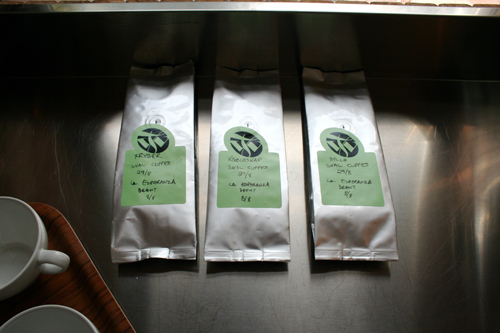 As before we ground up 12 grams of the three differently stored coffees and a control sample. We later decided to skip the control sample as that coffee had been roasted slighlty darker and wouldn’t serve it’s purpose. 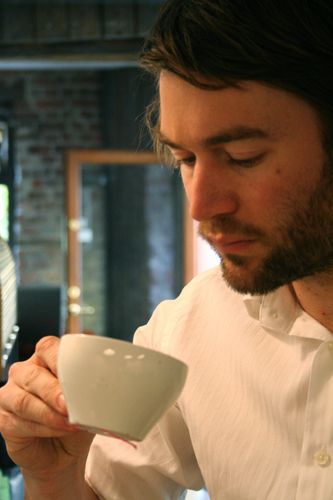 Tim Varney volunteered to start the cupping and to get his “ugly mug” on the blog again to illustrate our cupping procedure. The other cuppers were Tim Wendelboe and myself. …and poured it onto the coffee. There were a slight distiction between the cups when the water had been added but not so much that we could agree upon one cup being more aromatic than the other. After having broken the crust and removed the foam we tasted the three coffees and this is were the differences became apparent. First of all; like last time we agreed on that no coffee should be stored this long no matter what method of storage being used. The coffees flavours had faded even more during the last week. But this is where we stopped agreeing. We scored and valued the 3 cups differently, but settled the score with …eh summing up the scores. There wasn’t that much between the contestants this time around either, but the coffee from the freezer seemed to have an edge. I guess that this coffee would have increased it’s lead if we were to go on for more weeks. But why would anyone want to store their roasted coffee for that long? As a conclusion for the entire project it seems that it’s better to store your coffee on the shelf out of sunlight and in an airtight container for up to 3 weeks rather than storing it in the same container (unopened) in the freezer and the fridge. But if you are going to store it for 4 weeks or longer (for some strange reason) you should store it in the freezer. This is true for coffee roasted for drip or french press. 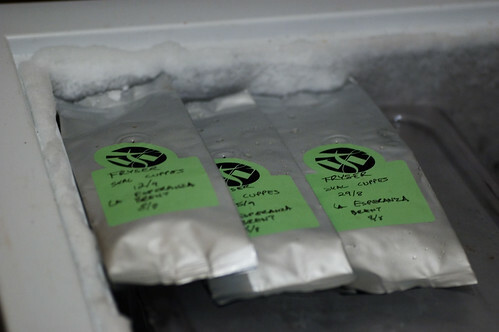 In case you have coffee roasted for espresso the freezer has an even bigger positive effect according to Tim W (having done a similar with this kind of coffee). My theory is that the freezing and thawing process affects the coffee negatively but being frozen the coffee deteriorates more slowly than when stored on a shelf. 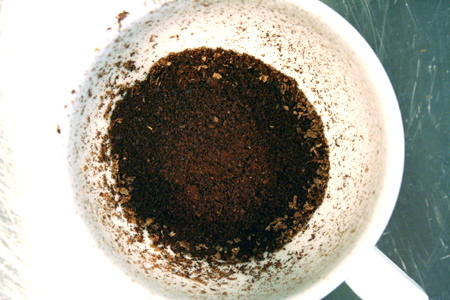 For shorter periods of time the process of freezing and thawing makes the coffee from the freezer taste worse, but over time the deterioration of the coffee stored at room temperature is greater and will pass the combined effect of freezing/thawing added to the gradual deterioration of the coffee from the freezer. We still have many questions unanswered. What would have been the differences between the coffees after 1 week? 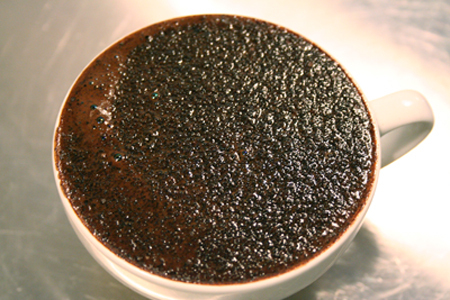 What would happen to a coffee that was less acidic? What if we opened and closed the bags every day? This made us decide to repeat the experiment with another coffee and see what would be different. If you have any suggestions to aspects we should include in this test please leave a comment and let us know. Thanks for reading and sorry for all the pictures. I guess I just tried to compensate for there being only one in the previous installment. Next week we will be testing to see how many unripes/defected beans there can be in a cup of coffee before you can taste it. We put our tastebuds on the line so you don’t have to! Today was week 3 of the storage experiment. The coffees had today been stored for 3 weeks in the freezer, fridge and on the shelf. It was time for the second cupping. For people reading about this experiment for the first time it’s important to read the two preceding post. I took the bags out early to make sure they were properly thawed before the tasting started. 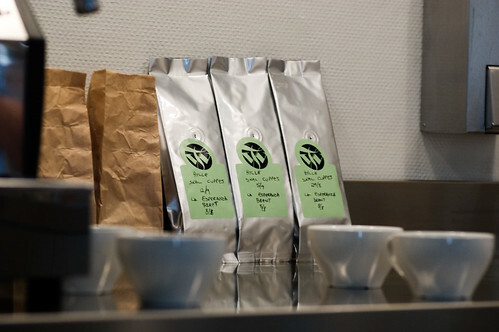 The proceedings went on as last time, and todays cuppers were Tim Varney (espressobar manager at Tim Wendelboes), Tim Wendelboe himself (coming in to the cupping at a late point but adding valuable input), Chris Kolbu (part-time barista and recently returned from vacation. He came in to the cupping a bit later on), an unsuspecting customer wanting to participate in our daily cuppings and finally myself. Today I included a control sample in our line-up; a La Esperanza roasted a week ago to the same roast degree. It proved to make an interesting point. The conclusion is that the coffees seemed closer this time around than they did last time. The shelf stored coffee still seem to have an edge, but the two other samples are scored mostly equally. The descriptions given by the cuppers also seemed to put all three storage methods closer together and it seems like that at this point three weeks into the experiment there isn’t that much of a positive difference between the storage options. It’s also clear in my mind (even though the two unnamed cuppers inadvertently gave 6 points to the shelf stored coffee instead of the control sample) that to store coffee for this long should be avoided if possible. What will happen next week when we cup the last three bags of the experiment? 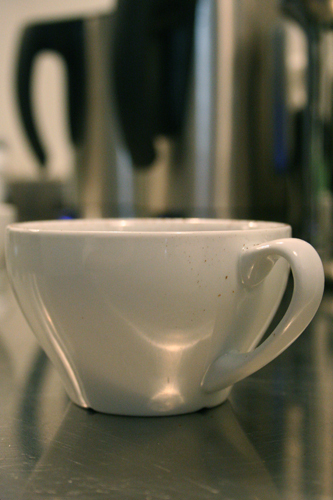 Will the shelf stored coffee finally be dethroned? Is it better to store your coffee in the fridge if you’re going away on holiday for 4 weeks and don’t want to throw away your coffee beans? Keep tuned for the final installment next Wednesday. Please keep in mind that there are several aspects of the storing of beans we have left out completely to make the experiment more managable (repeatedly opening and closing of bags, different storage containers etc), and that these aspects might have an impact when you store your beans. 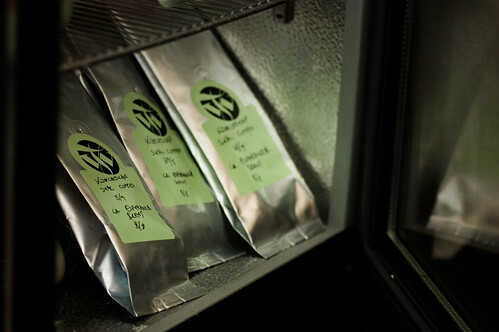 We have only used one way valve bags and left them unopened in the different places of storage before cupping them. So today it’s been 2 weeks since we put the bags of coffee in the freezer, fridge and on the shelf as I’ve described in my previous post. It was time to taste the first three bags. Originally we described the flavour of the coffee as being fresh and fruity with a light citrusy acidity. The taste is of light red berries and it has a clean and sweet finish. When I took the bags of coffee out I noticed straight away that there seemed to be more air in the bag stored in the fridge, whilst the bag stored in the fridge was moist on the outside. We left the bags of coffee on the counter to thaw and to reach room temperature. 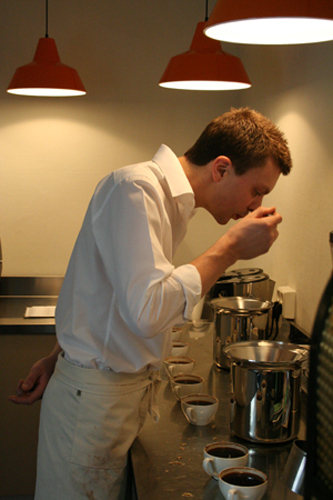 I organized everything as a normal cupping; weighing up the beans to a ratio of 55 grams per liter. 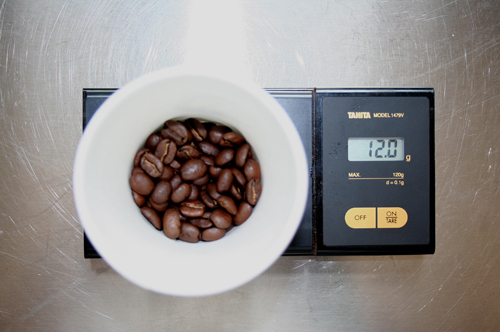 To our cupping cups this means 12 grams of coffee. We examined the leftover beans for possible visual differences and it turned out that the beans left on the shelf had gotten an oily sheen, the beans from the fridge where quite matt with the beans stored in the fridge being somewhere inbetween. The coffee was roasted for french press and other normal brewing devices and were lighter than for espresso. They were dumped before second crack so they did not have an oily sheen to begin with. We lined up six different cups with the three different beans (two of each) and randomized them. 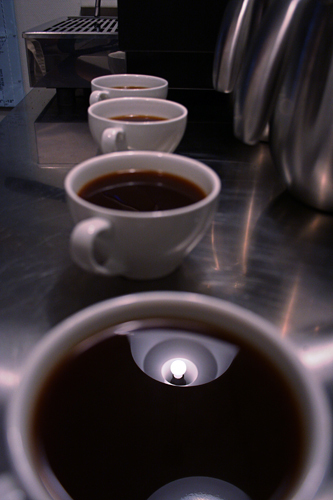 I had marked the cups underneath so we could see which was which after the cupping. 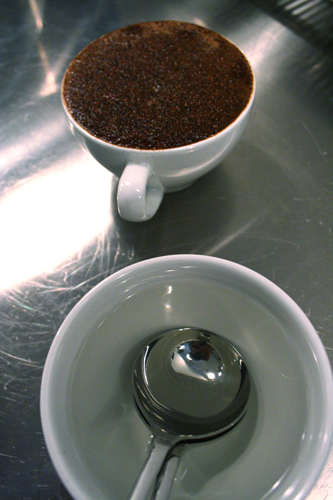 Tim (Varney) and I started the cupping and smelled the grinds before adding water. There where some differences in the strength of smell. The one from the freezer had the most intense smell when it was dry with the ones from the shelf coming in second. After adding water the beans having being stored in the fridge had the strongest aroma with the ones from the shelf still coming second. Tim (Wendelboe) and Ingrid joined in after we had broken the crust and had let the cup cool enough to taste. We weren’t completely in sync, but we finally reached the conclusion that the coffee having been stored on the shelf retained more sweetness and had a better acidity. The beans from the freezer had become more flat and boring, not showing any of the pleasant acidity that had been in the original cup. The beans having been stored in the fridge had become bitter and unpleasant and were rated dead last. I can’t wait until next week when we take out the next three bags and see what has happend after another seven days of storage has passed. 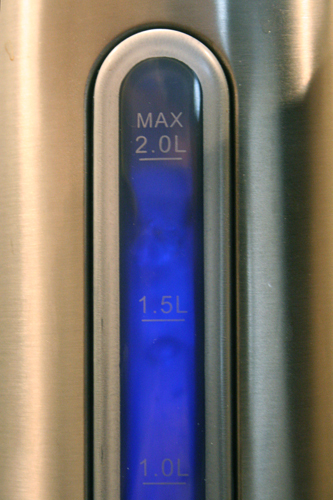 Has the fridge-beans kept better than the others or does the conclusions remain the same? Will Chris have anything to add to the taste panel when he returns from his vacation in Bulgaria? Keep tuned in for the exciting next installment. Ok so this might not be the most original of experiments, but I wanted to try it for myself and share it with you nonetheless. Yesterday I filled 9 oneway valve bags and filled each with 100g with coffee before sealing them. The coffee I used was a La Esperanza CoE, Colombia roasted on the 8th of August. I placed three of the bags in the freezer, three in the fridge and three on the shelf out of the sunlight in our cupping room. I’ll be opening the door of the freezer and the fridge each day at least to mimic normal behavior in the kitchen of our customers. I know there are several weak points to this test, but it is not meant to be 100% scientific. It’s more of a fun project that hopefully will give some answer and perhaps some surprises. Over the next four weeks we’re going to cup them to test how the different storage methods has affected them. I’ll post our cupping notes after each cupping. We’ll open the first three bags (one from each storage version) on the 29th of August (two weeks into the experiment), then another three on the 5th of September (three weeks in) and the last three on the 12th of September (after four weeks). The purpose is to see what is the best to recommend our customers when they ask how to store their coffee. Our normal answer is to buy small quantities and drink it within roughly two weeks after the roast date, but there are always people who insist to do it differently for one reason or the other. I’d like to try to find out for myself what is the optimal way for storing your beans over longer periods of time. Hopefully this will make for some interesting posts in the coming weeks. All pictures are taken by Chris Kolbu (http://www.flickr.com/photos/flippantfiasco) who is a barista at the espresso bar.